"I am truly honored to receive this award," said Darnell. "Giving back to the community is something that is very important to me, the Red Wings and the entire Twins organization. Rochester is a great baseball town and a wonderful place to call home during the summer months." 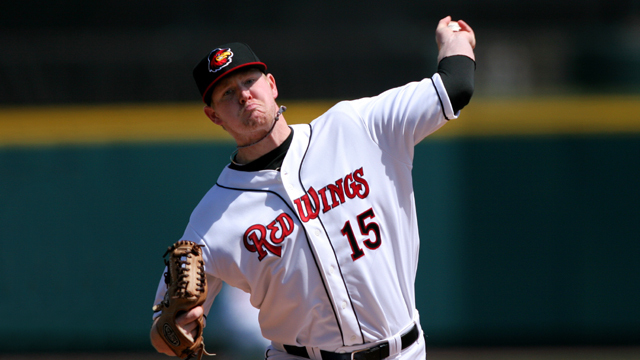 In his second season with the Wings, the southpaw endeared himself to the Rochester community. Despite the rigors of a 144-game minor league baseball schedule -- which includes just eight off days -- Darnell made more than 15 appearances at various community events throughout the year -- a number that easily led the team and made him the runaway winner as the Red Wings "Most Civic-Minded" player and the Twins Harmon Killebrew Award honoree for the Rochester club. "Logan had to lead the league in community appearances this season," said Red Wings General Manager Dan Mason. "He's been a great ambassador for the Red Wings and the City of Rochester in his time here." The majority of Darnell's appearances came at various local little leagues and camps. A few of his more notable appearances included the Challenger Baseball World Series held at Frontier Field, The Mary Cariola Children's Center and The Dave Clark D3 event held at the ballpark in August. Other notable award recipients at this year's luncheon include RPD Officer Daryl Pierson and his partner Officer Mike DiPaola (Human Service Worker Courage Award) and New York State Lieutenant Governor Robert J. Duffy (Human Service Worker Lifetime Achievement Award).